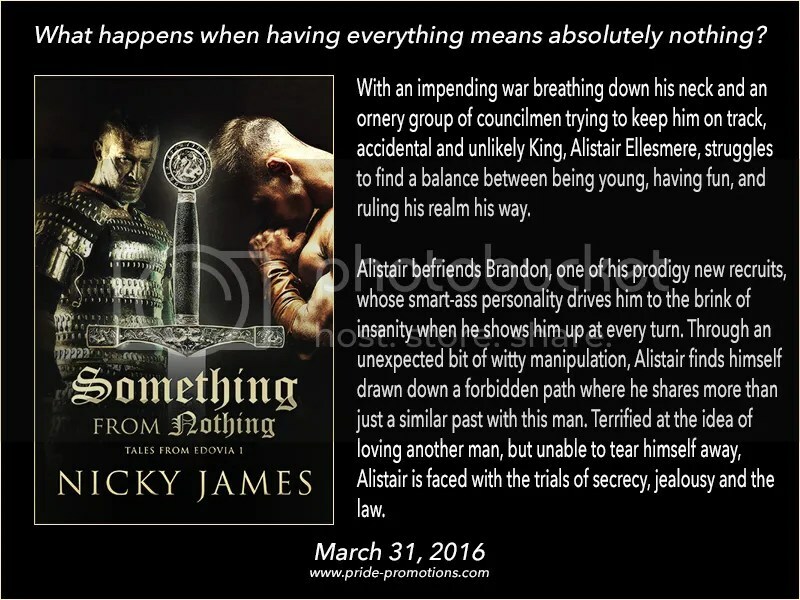 Book Blast & Giveaway: Something From Nothing by Nicky James! His dark blond hair falls in waves in front of his eyes, covering them again. I want to see those eyes. Need to see those eyes. He is no longer the scrawny kid who stood before me last spring. He has been working with Corban on strength training, as I suggested a while ago, and is showing much progress. His shirt is pulled tight over his newly developing muscles and my eyes move over his body, taking in his stunning appearance. My breath hitches in my throat as though I have forgotten how to breathe, which is ridiculous since I’ve been doing it all my life without a problem until now. It had started out as a challenge. Did I have the balls to match Brandon’s crazy antics? I thought so, but then, I ran away. Something happened that night to make me run and I have buried it deep, refusing to see it. Refusing to admit it. But it is there, undeniably there, and now as I stand before this man, heart ready to jump out of my chest, I know why. What Brandon suggested is crazy. It’s insane and was completely unexpected, but…It excites me, sends a thrill sparking through my body. Bloody hell. I’m losing it. This is nuts. Brandon risked a lot that night. The man all out admitted how he felt about me and I’m standing here, right now, because I need to know, as twisted and confusing as it is, if I feel the same. I live in the small town of Petrolia, Ontario, Canada and I am a mother to a wonderful teenage boy (didn’t think those words could be typed together…surprise) and wife to a truly supportive and understanding husband, who thankfully doesn’t think I’m crazy. I have always had two profound dreams in life. To fall back hundreds of years in time and live in a simpler world, not bogged down by technology and to write novels. Since only one of these was a possibility I decided to make the other come alive on paper. I write mm romance novels that take place in fantastical medieval type settings and love to use the challenges of the times to give my stories and characters life. 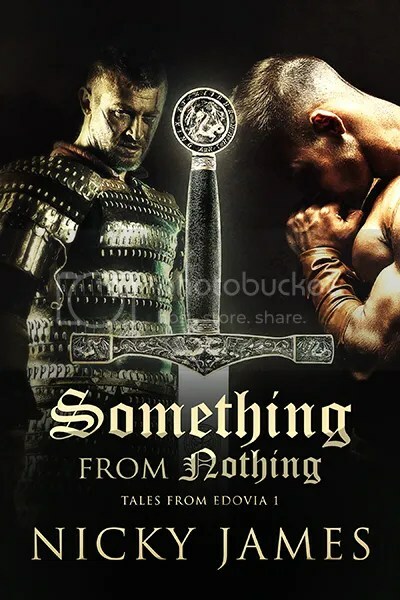 This entry was posted in For Your Reading Pleasure and tagged Book Blast, Fantasy, historical, MM Romance, Pride Promotions by Charley Descoteaux. Bookmark the permalink.